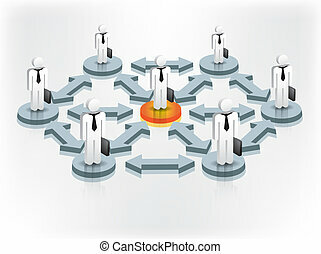 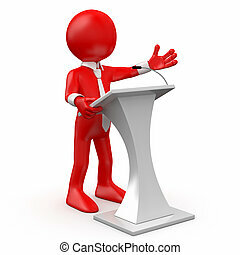 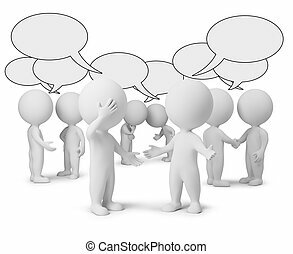 Disorganized communication - people speaking at once. 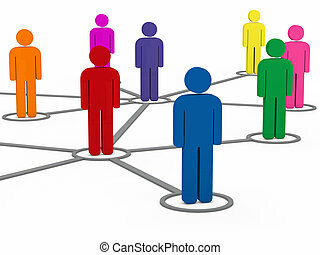 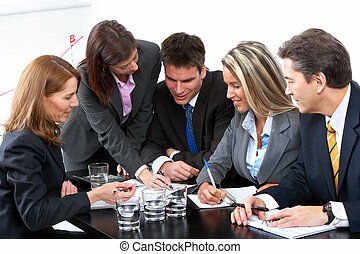 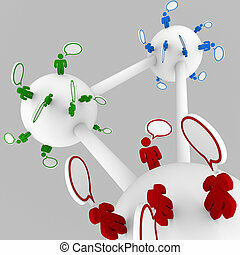 Many people talking at the same time in disorganized, confused communication. 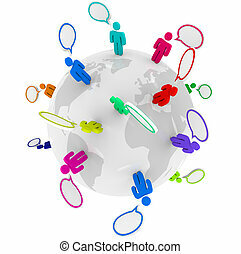 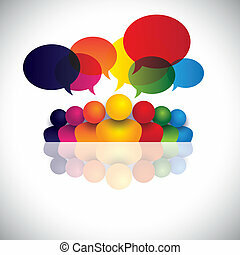 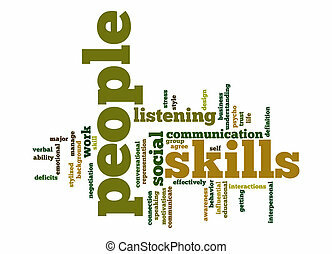 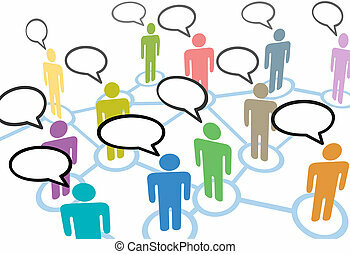 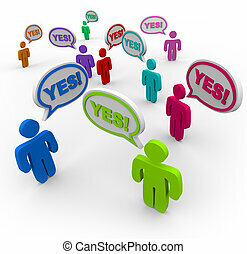 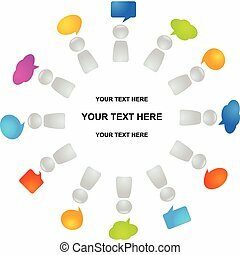 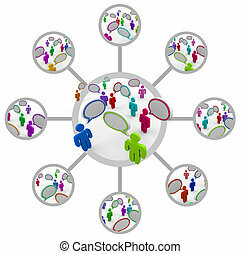 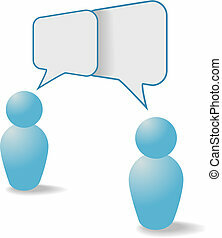 Two people symbols share talk together in overlapping social media communication speech bubbles. Useful copyspace as a man and woman talk and listen on tin can phone communication line. 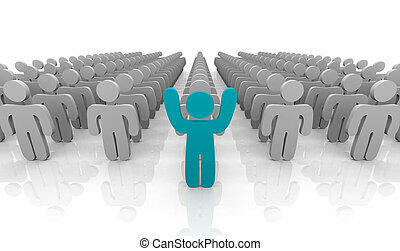 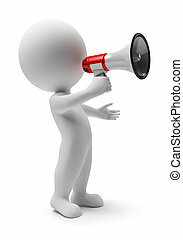 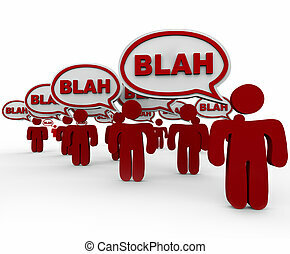 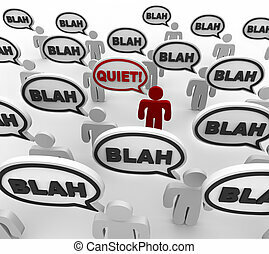 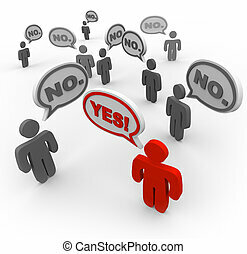 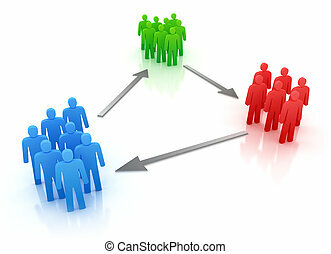 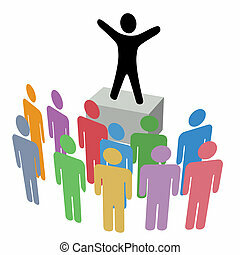 A crowd of people in disorganized communication, with one person yelling Quiet! 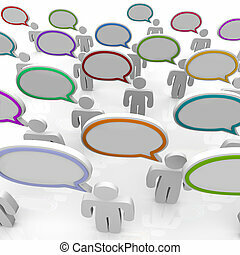 Many red people standing in crowd talking with speech bubbles containing word Blah.